Well shaped brows frame the face, providing definition and creating a naturally ‘lifted’ appearance for the upper face. Cosmetic lip tattooing restores the lip’s vermillion boarder to enhance and define the perfect pout. 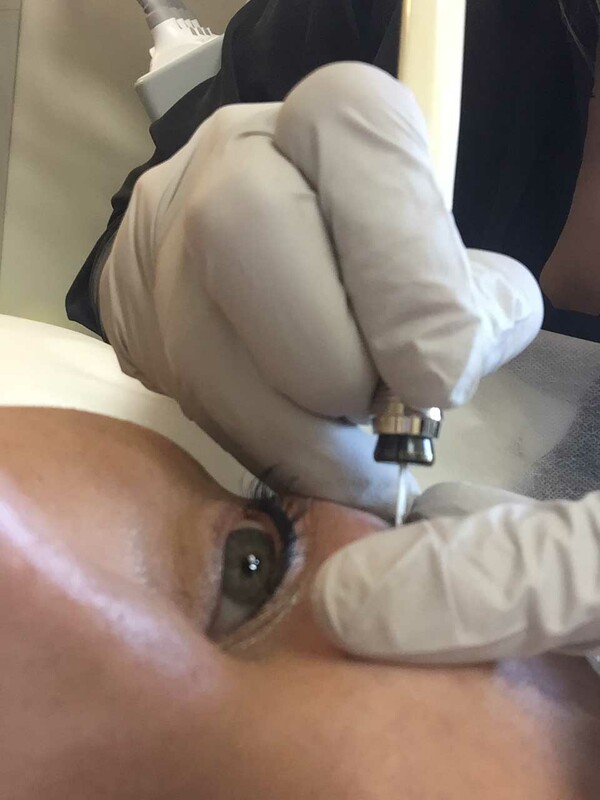 From a chic French flick through to a subtle lash line enhancement, cosmetic tattooing removes the time-consuming task of applying eyeliner each morning. Pricing starts at $500 for eyeliner, $650 for lips and $650 for feather touch brows. Your 6 week touch up treatment is free of charge. We use a topical anaesthetic to make the process comfortable. There’s no downtime involved. Request a free consultation with our cosmetic tattooist at our Brisbane or Ipswich clinics. 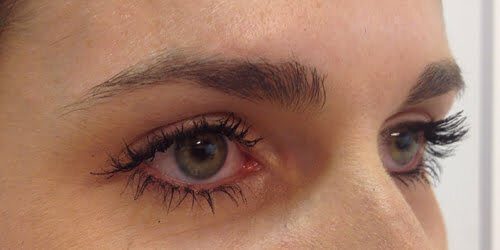 Some of us naturally have sparse brows, while many of us have whisper thin arches after over-plucking through the 90’s. Cosmetic tattooing can create soft, feathered and natural-looking brows - or a strong, full-browed look depending on what suits your face and desired look. 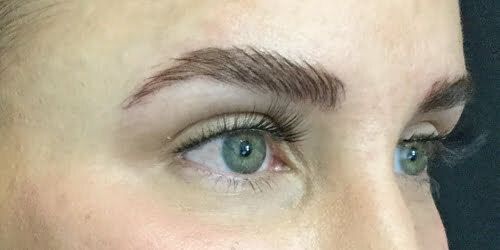 In recent years, the popularity of feather touch brow tattooing has soared, whereby a natural-looking brow is formed at the hands of an experienced tattooist by recreating the look of well-placed hairs, strand by strand. Our skin clinician Deborah Seib-Daniell has been coiffuring brows for 18 years and says the pendulum has thankfully now swung towards a more moderate groomed look that is both natural and defined. Eyebrows are one of the ‘hard working’ elements of facial aesthetics, framing the face and creating balance; the importance of the eyebrow cannot be understated when forming a lifted, open-eyed appearance. Over elevation of the brow creates an unnatural, surprised look, while a low-placed brow with a high lateral peak can form an angry look. 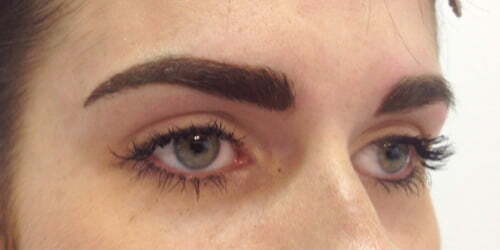 It is impossible to define an ideal eyebrow that is suitable for every face, ethnicity, age and gender. But the ideal eyebrow aesthetic typically involves the inside of the brow beginning in line with the edge of the nostril, and ending at an oblique line drawn from the outside of the nostril through the outside corner of the eye. 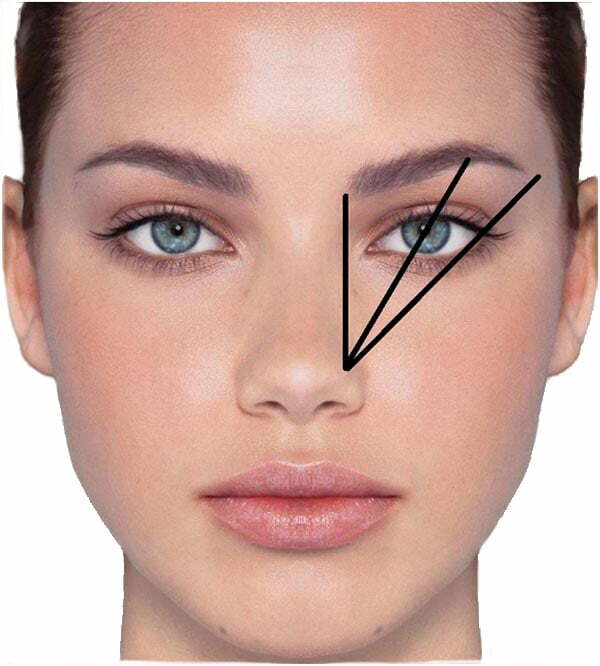 Both ends of the brow should lie at approximately the same horizontal level. 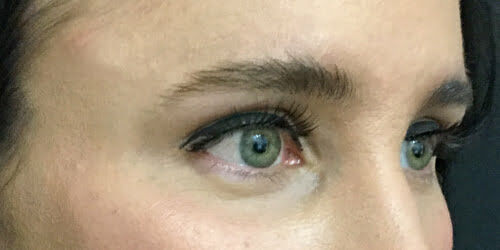 The apex, or top of the arch, lies on a vertical line directly above the outside run of the iris, which should also match the same point that is found when a line is drawn from the outside of the nostril through the pupil.